Maritime Vinyl: The Suppliers - Noise - Review! 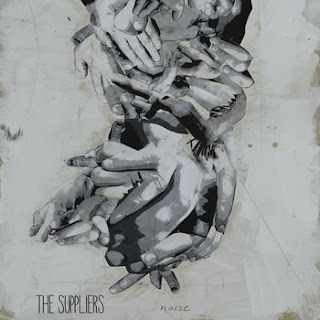 The Suppliers - Noise - Review! Tomorrow sees the release of the sophomore album by Calgary rock band, The Suppliers. Filled with high energy and rage, Noise takes elements of grunge and punk rock and pushes it to the extreme. The Suppliers are: Ashtyn Beaudette on vocals, Kirill Telichev on guitar, Rob Smeltzer on bass, and Sean Friend on drums. 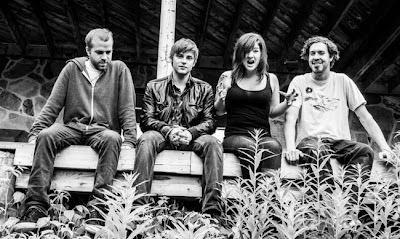 The band formed in 2010 and spent their first two years completing their debut self-titled album. For their newest release, Noise, they decided to take a completely different approach. They recorded this entire album in one day. Now, don’t fear, the recording and production sure weren’t compromised by this quick approach to recording. On the contrary, this album sounds great! It has a very solid mix, and best of all has the raw and edgy sound only gained by a live performance (Neil Young would be so proud). 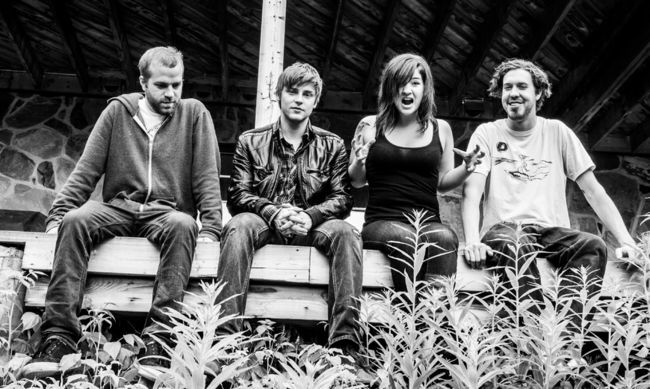 They have been gaining a fair amount of success in Alberta since they formed in 2010, including winning a local radio contest in Calgary where the prize included sharing a stage with Linkin Park and Incubus at Calgary's 2012 X-FEST. While there’s not a dull track on the album, they seemed to have saved the best song for last. This had me questioning the play order as I know many people judge an album by the first couple of tracks. Perhaps play order is not as important in this new world of playlists, but people like myself still play albums from beginning to end and well, we think about things like song sequence (ok probably most people don’t… but I sure do!). Now I am not saying that the opening songs are not good, they are just not the best on the album. A song like I Don’t Want To Be Alone really highlights the bands individual talents. Starting with a slick guitar riff and leading into vocal breaks of Ashtyn screaming “I Don't Want To Be Alone” at the top of her lungs makes me think of 90’s Courtney Love. There is so much energy and emotion in this song. The album closes with (not counting the small one minute tune “off”) Let Me Treat You. This song, in my opinion, is the best on the album. It has a great slower beginning of quiet singing to a sole electric guitar, upgrading to a mid-tempo rock and roll song and ending in a beautiful mess of noise filled with distortion, cymbals and Ashtyn’s screaming backing vocals. This song ends the album on a definite high note. The Suppliers have a busy fall touring season ahead with many dates throughout Alberta and British Columbia. On their website they do have a tour section for Central and Eastern Canada, but it currently says “TBA”. So here is hoping we get a Maritime tour date or two in the near future. I have a feeling this album is really going to go far for this young band and that Noise is still only the beginning. Revisiting some hair metal - Hericane Alice! Black Joe Lewis - Electric Slave - review!